Our practice has carefully created a state-of-the-art lab with the latest equipment available to enhance treatment success rates. The CFI lab includes the EmbryoScopeTM, an IVF incubator with a built-in camera for automated time-lapse imaging of fertilized oocytes in a safe incubation environment. The system provides detailed information about development of embryos up to Day 5. This enhances the selection process and increases the chance for success. This revolutionary system has been used in more than 150,000 patient treatments worldwide in the past five years. Reports show EmbryoScope improves pregnancy outcomes by 20% or more. The CFI lab will also utilize LifeAire, an air purification system designed specifically for IVF. LifeAire was designed by engineers and physicists to minimize the potentially devastating variable of ambient air and maximize the in vitro culture environment, laboratory potential, and clinical outcomes. 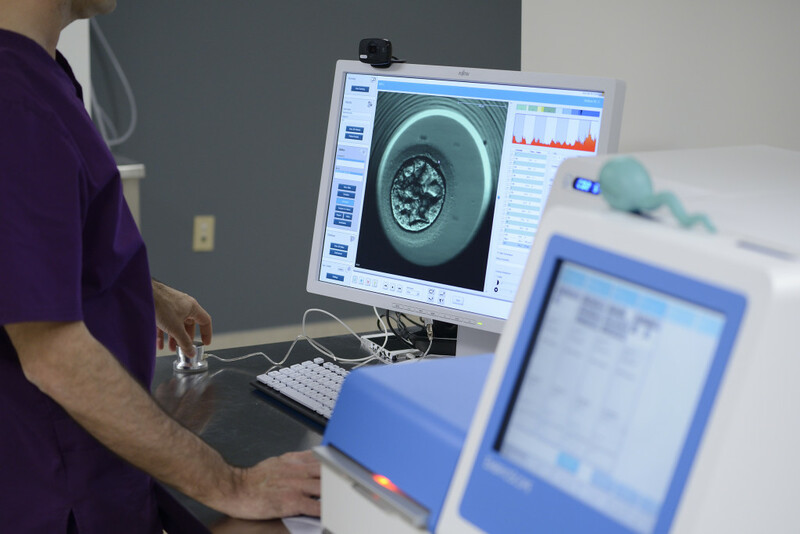 The EmbryoScope technology, combined with the LifeAire air purification system, provides patients with the best possible embryo culture conditions and highest chance for success.